Activity wall panel for all kidscorners with only very limited space. Children's activity wall panels occupy only a minimal part of your wall and yet provides a great deal of good fun. Delivery also in UK etc. 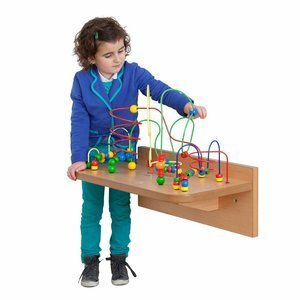 Professional wall mounted toys for waiting rooms, there are no loose parts or elements so your playcorner is always tidy. This wooden bead table is specifically designed to be placed in a corner. In doing so, you equip your waiting room or kids corner highly efficient and no valuable space gets lost. Very practical and child-friendly! 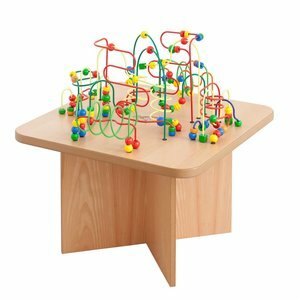 This wooden bead maze table will fascinate children and toddlers with its colourful frames and beads. 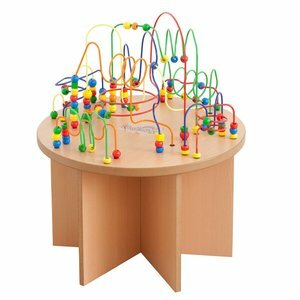 Large wire bead maze table for every kids corner. Your kids area will become quickly beloved among kids. Delivery also in UK, Ireland.. Wooden bead activity table with many colourful beads. 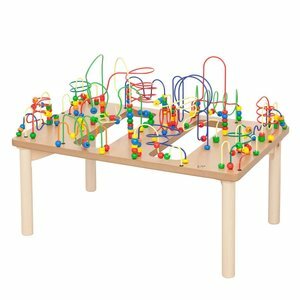 This wire and bead frame and activity table is ideal for children and toddlers your playcorner. 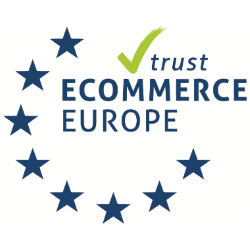 Delivery also in UK and Ireland. 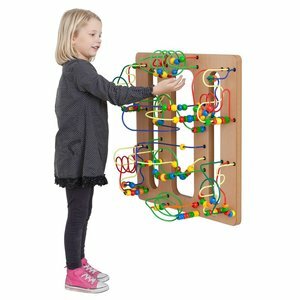 This unique and versatile bead frame table can also be used as an exciting play wall. You simply take off the 4 legs in a twinkling and mount the product on any free wall space. Your waiting room or kids corner will soon become very popular. This Wooden bead Table will be your number one choice. No loose parts or separate play elements so your kids corner will be perfectly and efficiently organised. 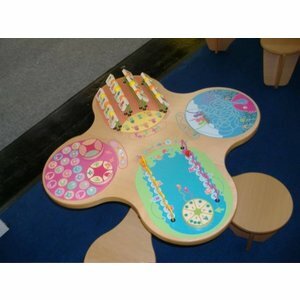 Wooden bead activity table for kids corners or waiting space area. 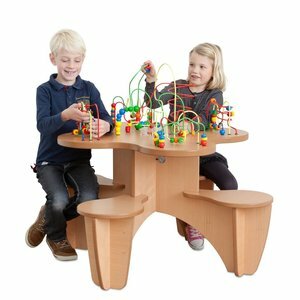 In this wooden activity table with beads both the seats and the loopings of the labyrinth are completely integrated in the frame.